Skoda will unveil the compact SUV at 2019 Geneva Motor Show. Skoda is actively testing its new compact SUV, which is slated to come in as a rival to the likes of Hyundai Creta, Renault Duster, etc. It is the company’s first product to be based on an MQB A0 platform and will get up to 95% localization, with prices starting from about Rs 10 lakhs. Today, Skoda revealed name of this new SUV. The name fits well to Skoda’s SUV naming structure of modern days, where first letter is K and last letter is Q. The two examples which are already out there – Kodiaq and Karoq. The former is already launched in India, while the latter is on its way, hopefully this year. Once launched, Karoq will take on the likes of Tata Harrier and Jeep Compass. 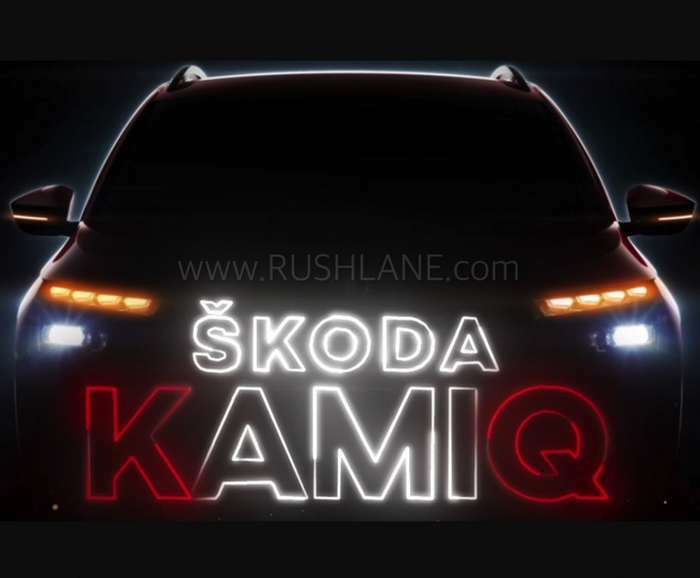 Kamiq is not a new name for Skoda. They already have used that name, on a SUV which is already on sale in China. But, the Kamiq which is heading for Geneva, will be a different one. It will be based on Volkswagen’s MQB A0 platform, which also is the basis of Volkswagen T-Cross. Below is the teaser video of Skoda Kamiq. The new 5 seater Skoda Kamiq will be seen with a butterfly grille flanked by LED headlamps and DRLs, a large airdam, flared wheel arches and C shaped LED tail lamps at the rear. It will sit on 16 inch alloy wheels and get a panoramic sun roof. Interiors will be spacious for upto 5 adults. The Kamiq for Europe, will be different from the Kamiq for India. Indian Skoda Kamiq will be based on locally developed MQB A0 IN platform. This is the same platform which the India-spec Volkswagen T-Cross will be using. Skoda India has confirmed that the Kamiq will debut at the 2020 Auto Expo in Feb next year, as a concept. Launch is expected to take place by Diwali 2020. Post this, VW T-Cross will also be launched in India. Both cars could be offered with a choice of 1.5 liter petrol and diesel engine options. These new engines will be BS6 compliant. More details will be revealed closer to debut.